Let’s celebrate my 10 years in Montreal and my 10th solo Show! 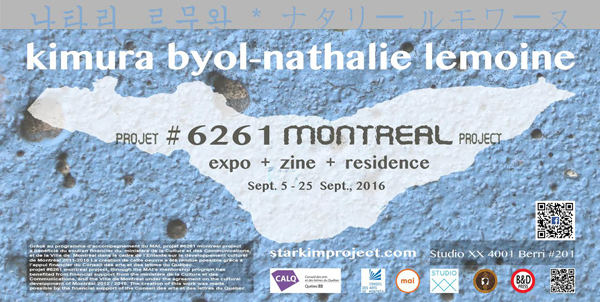 The projet 6261 Montréal project is a géographical and symbolic journey that give a réflexion on migrations of inhabitant movements of different origins ibased in Montreal. What is a number ? To what, to whom are we giving a number ? A house, a street, an avenue, a cat, a prisoner, a refugee, an oprhan, an adoptable child. My adoption number is 6261. In Montreal, there are long streets, avenues. How many inhabitants live at number 6261?